A stretch woven front joins with a knit back for exceptional ease of movement and a sleek, high-performance look. 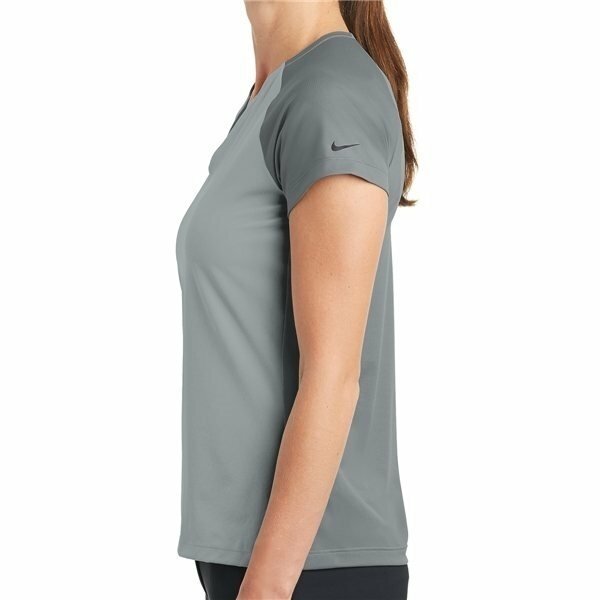 Dri-FIT moisture management technology helps keep you dry and comfortable. 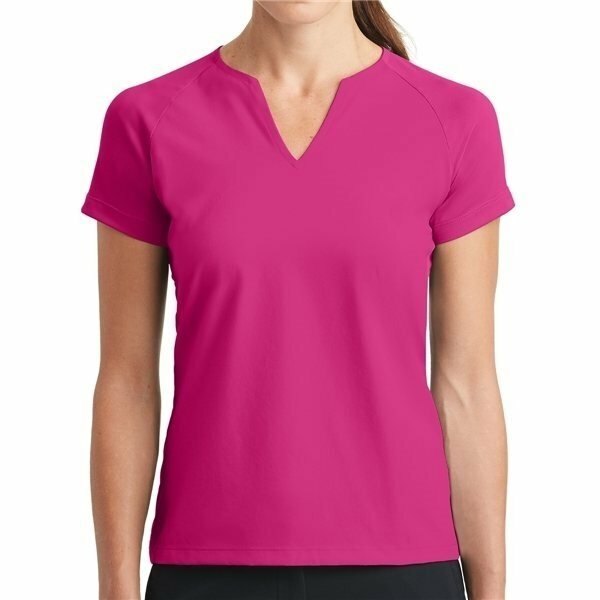 Tailored for a feminine fit with a flattering v-neckline and raglan sleeves. 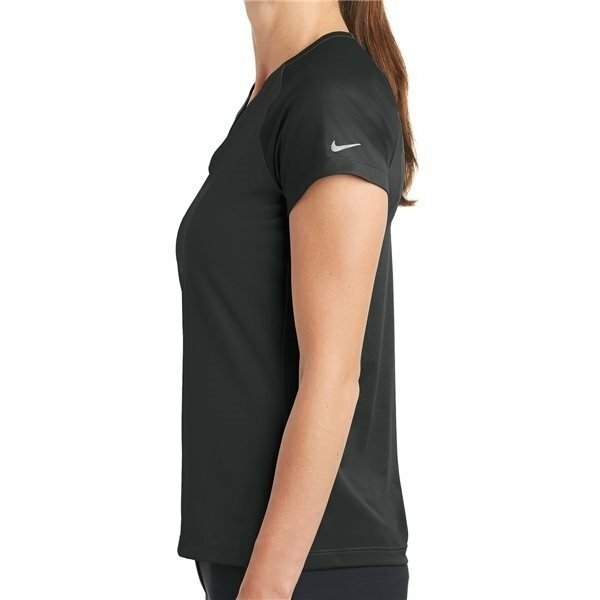 Design details include open hem sleeves with a contrast heat transfer Swoosh design trademark on the left sleeve. 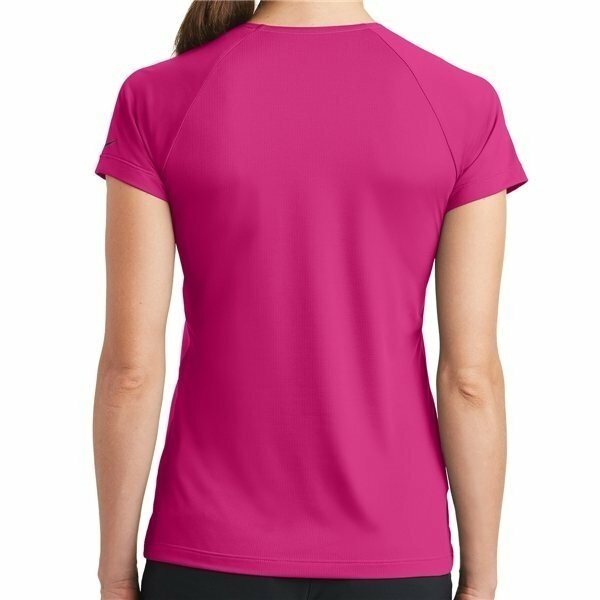 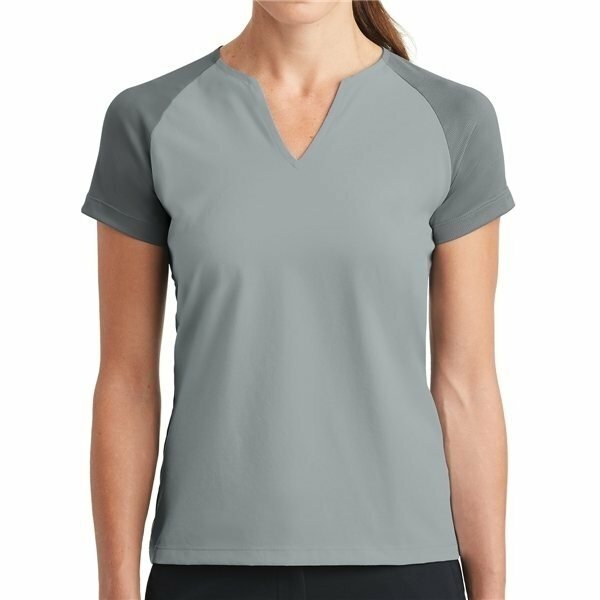 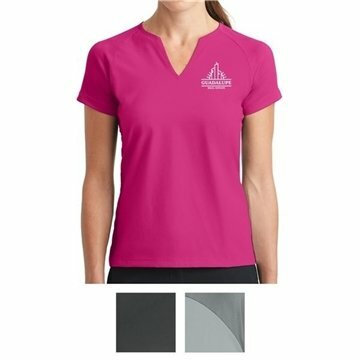 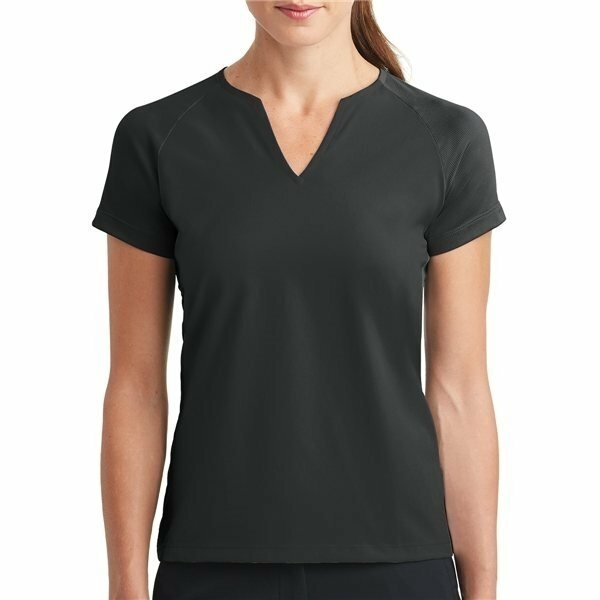 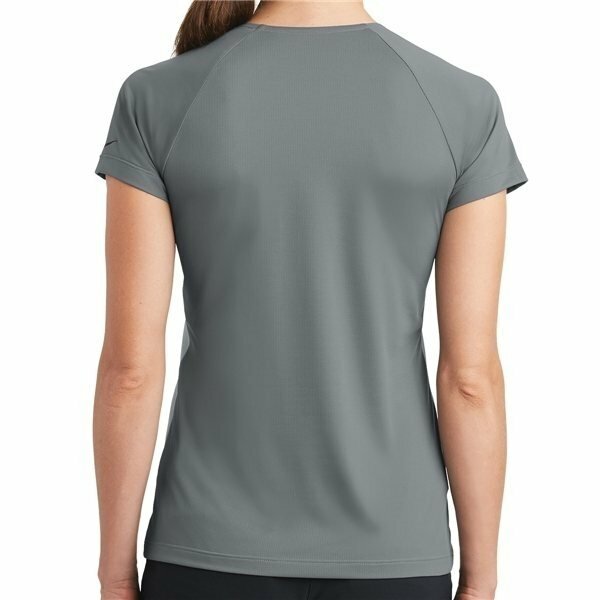 Front made of 4.7-ounce, 84/16 poly/spandex stretch woven and back made of 4.2-ounce, 100% polyester knit Dri-FIT fabrics.